In all the intelligence based transportation systems, AVI i.e. Automate Vehicle Identification is very effective tool for electronic toll, traffic management, commercial vehicle operations, motor vehicle law enforcement, origin-destination survey and access control among other applications. 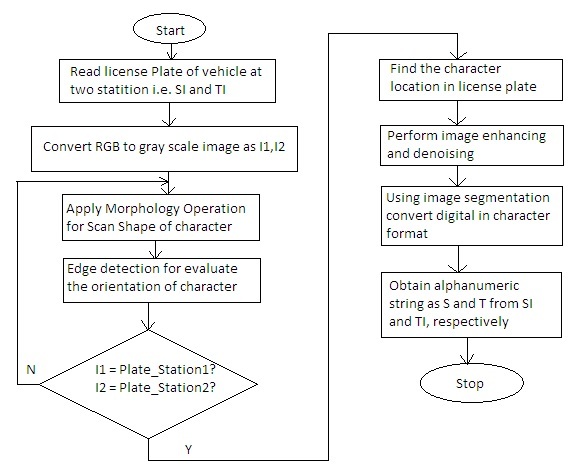 All these application require a unique identification of a vehicle at a checkpoint, some of them needed to trace vehicles at different nodes, e.g., O-d survey. To this end, it would be desirable if each vehicle is required to carry radio-frequency identification (RFID) tag, sometime other h/w required of same mechanism, to provide uniquely identifiable and useful vehicle and, perhaps even, driver information. This idea, however, has experienced much resistance and is not easy to come in existence number of reasons with privacy concerns being the most prohibitive. 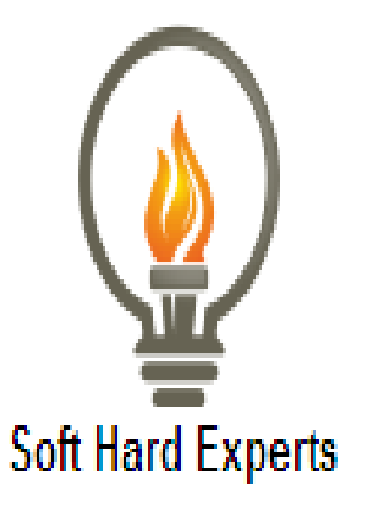 The Proposed method is License Plate Replicateing with Modified Normalized Edit Distance (LPM-MNED). 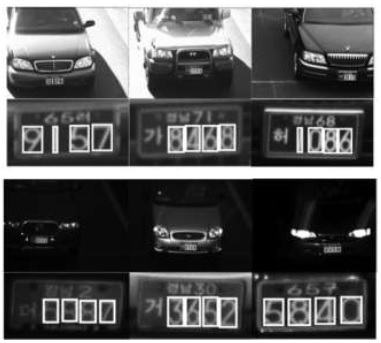 License-plate recognition technology was originally developed to read license plate alphanumeric on mobile cars and all. 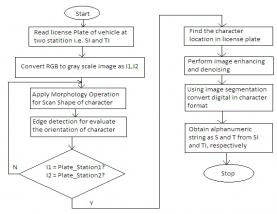 The process of getting a plate image and identifying the alphanumeric involves vehicle detection, image processing, and optical alphanumeric recognition, which have all been documented in detail in past studies. All LPR systems take advantage of basic pattern recognition technology to identify the alphanumerical alphanumeric on license plates.